As any ghost hunter knows, most hauntings are subtle. At the Fernwood Campground in Big Sur, that is not the case. 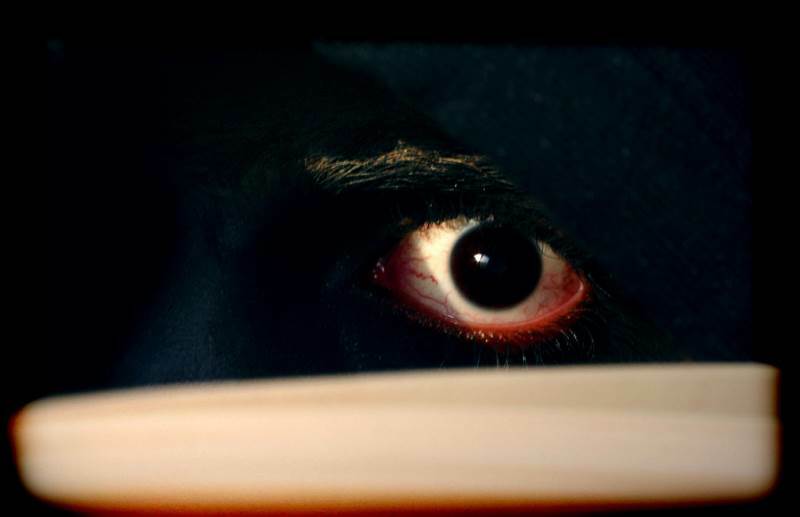 Most spirits don’t just walk around in plain sight scaring people. It might be because of the difficulty of influencing the mortal plane, or they might just be shy. In Big Sur, though, there is a ghost who has been seen by many. He has been seen clearly. 3 What Does the Man in the Corn Mask Do? 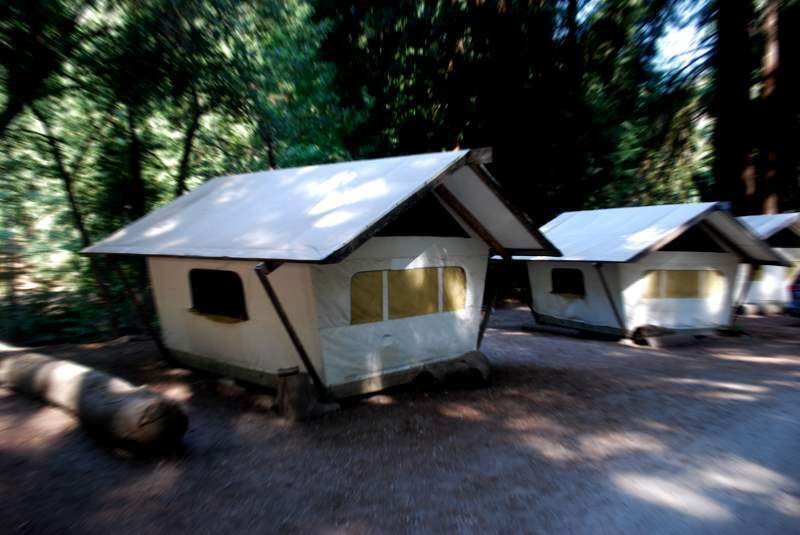 In most respects, Fernwood Campground is a wonderful spot for a family vacation or a base camp for hiking. The site offers access to the gorgeous Big Sur forests, bath houses, cabins and other facilities for “glamping”, and even a rare albino redwood tree. The only problem is what happens after dark at Fernwood. It began many years ago, when a camper at Fernwood complained to the management that a man had been walking around in the middle of the night. The man, said the camper, had crept right up to the camper’s tent and just stood there, watching. Perhaps waiting. The camper was slow to wake, but when he finally did realize what was happening and leapt out of bed, the figure had vanished. Peering outside, he saw in the distance a figure with an oddly misshapen head, retreating into the woods. The next night, the camper kept a flashlight at hand, and was ready for anything. Nothing happened. At least not to him. The next morning, four more customers complained that a man had walked right up to their tents, and simply stood there. He did not respond to shouts and cries, and when approached, he simply turned and walked away, somehow faster than anyone could catch up to him. The strangest thing is that although the four campers were in distant parts of the camp, they all reported seeing the man between 2 and 3 in the morning. The next day, he was gone. Not dead, not vanished, but quit his job and ran to Florida, just about as far from Big Sur as one can get. The poor man did leave a hastily scrawled note to his employers, though the writing was so shaky it was difficult to read. 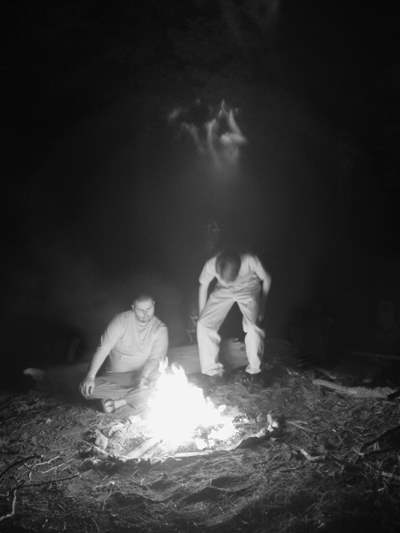 Although the camp manager’s encounter with the ghost of Fernwood Campground was by far the closest and most dangerous, others have managed to get a good look at the thing in years since. He’s tall, very tall, and seems to wear the traditional garb of the Esselen Indian tribe. Right down to a huge, round mask made of corn. The unnatural curves, angles, and bulges make for a terrifying sight in the middle of the night. The head is too large, and the shape is weirdly difficult to trace with the eye. What does this creature want? The Esselen tribe is indigenous to the Big Sur region. They were always a small tribe, one of the smallest in California. These people had the misfortune of being both one of the less powerful groups in the region, and of being the first to suffer at the hands of Spanish missionaries. Esselen children were baptized by Spanish priests and then removed from their families to be raised as laborers in the mission communities. Adults of the tribe suffered outright slavery, taken from their homes and put to work working the land and building settlements for the Spanish. It did not take long at all for the Esselen to begin dying off, due to starvation, disease, and even torture at the hands of the colonists. The Esselen were thought to be extinct for a time. The few survivors of the tribe scattered, and most thought they wouldn’t be seen again. In the 1800s, though, they did resurface. Today, they still live in the Monterey area, though in greatly diminished numbers. One particularly unusual tradition of the Esselen is their ritual corn mask. Round and bulky, it was worn by shamans and warriors during rituals. It was thought that the mask would bring the wearer closer to the Earth, allowing their spirit to become one with the land. Perhaps, some say, it would even allow the right tribesman to escape death itself, coming back to the place of his passing. One would need a powerful reason to return from the grave, but what better reason could there be than revenge for the near extinction of an entire people? Fernwood Campground’s story of the Esselen Indian man in the corn mask has been told often enough, and with enough terror and fear in the eyes of the tellers, that it’s accepted as fact by the locals. A far cry from the unnerving but benign Dark Watchers who roam the cliffs of Big Sur, the ghost of Fernwood Campground is clearly aware of human intruders on his territory. What Does the Man in the Corn Mask Do? So we have a campground, probably built on Esselen sacred ground, that is apparently haunted by the resurrected spirit of an Esselen shaman or warrior. Although cold spots, EVP, and floating orbs are common in Fernwood as in many spots in Big Sur, it’s the man in the corn mask who truly captures our imagination. What, exactly, does he do at night? When does he appear? Mostly at night, it seems. Almost all sightings of the masked Indian occur between 2 and 3 in the morning. He’s a common enough sight that one need not venture far into the woods. On the contrary, he’ll come to you. Aside from the poor, terrified campground manager, sightings of the Indian in the corn mask have typically been made from the comfort of a sleeping bag. 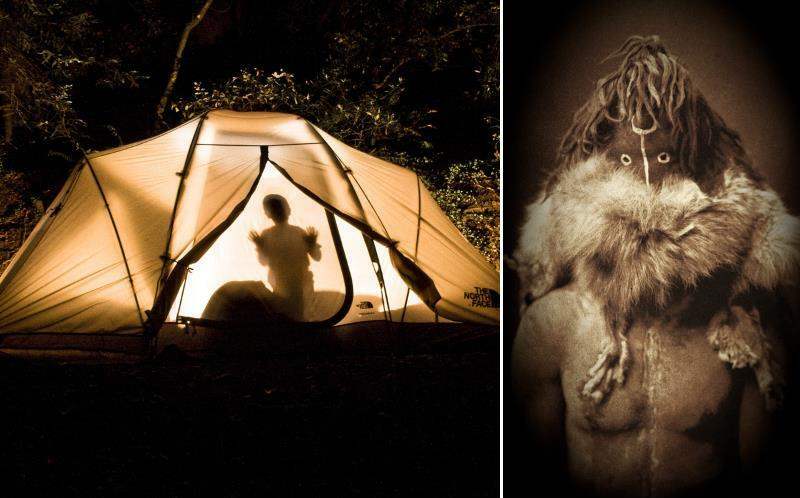 He stands just outside a tent, visible only in silhouette, and simply stares at those within. Part of the reason he’s so elusive is because it’s not unreasonable to see him and think you are seeing a mere shadow, or at worst a camper looking for their tent. Look for long enough though, and it should dawn on you soon enough that he is spending far too long looking right back at you. 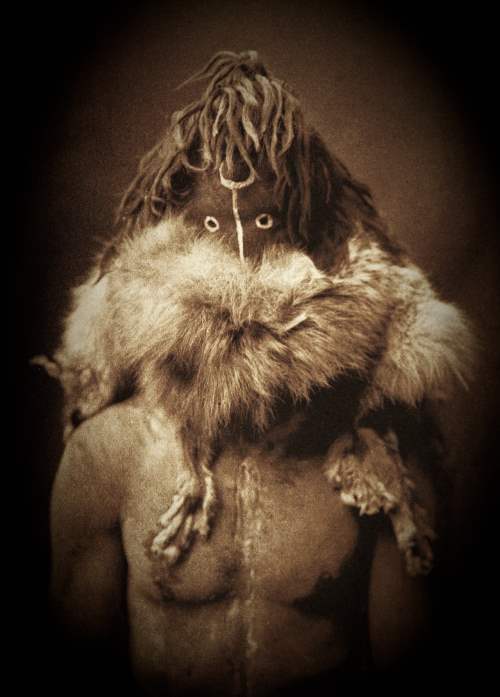 And then you might notice the outlines of features, animal skins, and of course the mask itself. For most people, it seems safe enough to call out and attempt to communicate with him. Stepping outside the tent to confront him will usually result in him walking away. But for some, chasing after the Esselen man results in far more interaction than anyone bargained for. Some people get to see that corn mask up close. If they live to tell the tale, they find themselves unwilling to relive the memory. Nobody knows who or what the man in the corn mask is looking for, exactly. Nobody knows precisely what will snap him out of his contemplation and bring his rage. The only thing we do know is that when it happens, it’s very, very bad. After all, accidents do happen out in the woods. Every so often, someone will go on a camping trip and never return. Best to bring a friend, just in case. Ready for perhaps the scariest campout of your life? Then Click Here To Get Directions To Fernwood Campground. Don’t forget to bring a dependable headlamp so you can have your hands free in case you spot something watching you in the dark. And click the share button below to share this with your friends.